Equipspot works for about two weeks. After one of the worst winters I can remember, it took only a few hours of warmth (it seems) before the ticks were back. Nothing kills those little buggers! Already I’ve pulled ticks off the horses and my dog and am thinking of putting tick tubes around the property to cut down on their numbers. Some horses don’t like the feel of the liquid as it’s absorbed into their skin. Both of mine are fine going from their polls to their tails. Legs are another story. very sensitive to it. Freedom won’t let me apply it to his legs at all — he hates the feeling of it on his skin. He will let me apply it to from his poll to his tail, though. 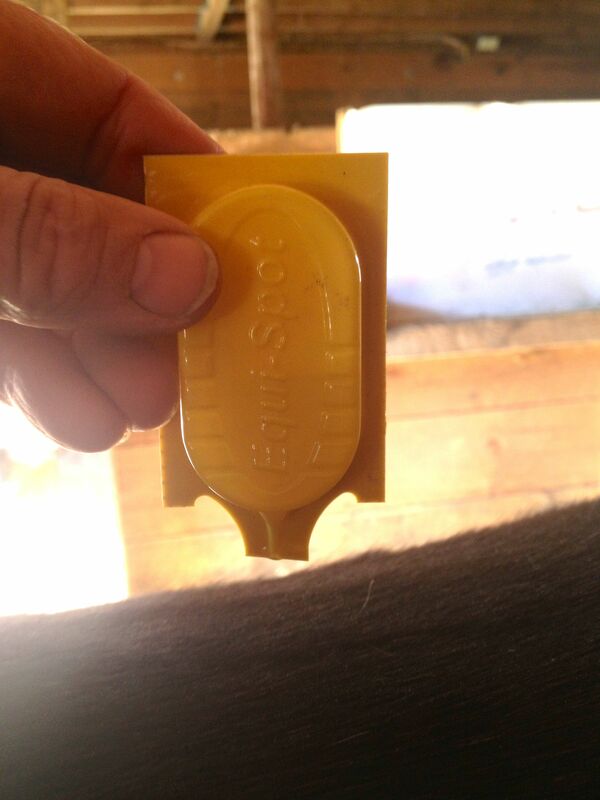 Some horses have reactions to Equispot so it’s a good idea to apply it sparingly the first time. 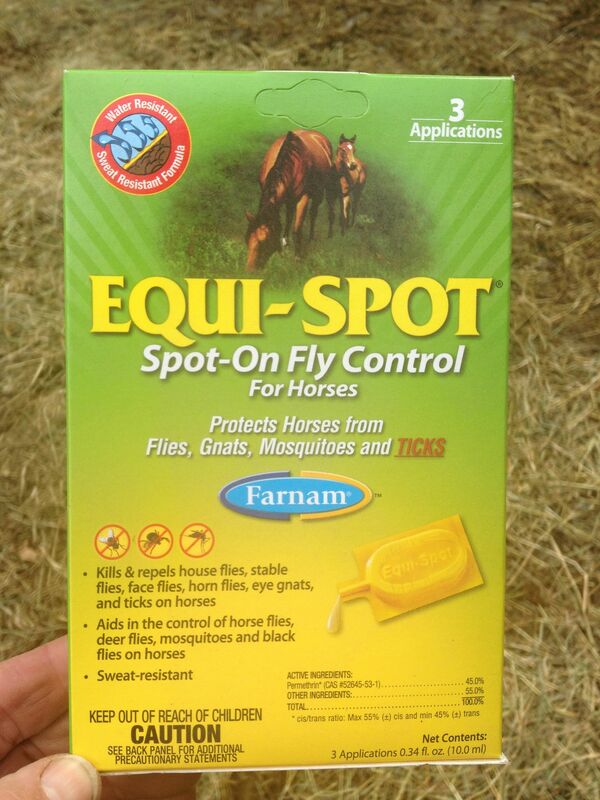 In addition to Equispot I also spray Frontline spray to their legs. What do you do to keep the ticks at bay?